Our biggest event of the year so far saw us create a three course Spanish inspired tapas menu in the beautiful grounds of a private clients home. LPM Bohemia provided an amazing greenery inspired marquee which wowed guests. The evening started with a reception on the lawns where we served English sparkling wine and British drinking snacks which went down a storm! We then served three courses of Spanish tapas to the centre of each table, designed to share. Dishes included locally sourced Norfolk heritage tomatoes with olives, manchego and herbs alongside roasted aged beef, supplied by Jamie at Archers, with olive oil, garlic, herbs and crispy onions. The guests couldn't get enough of the dessert of churros coated in cinnamon sugar, which were dipped in a salted brown butter caramel. This event saw the first outing of our new custom made, branded leather Socius aprons, which many guests complimented! 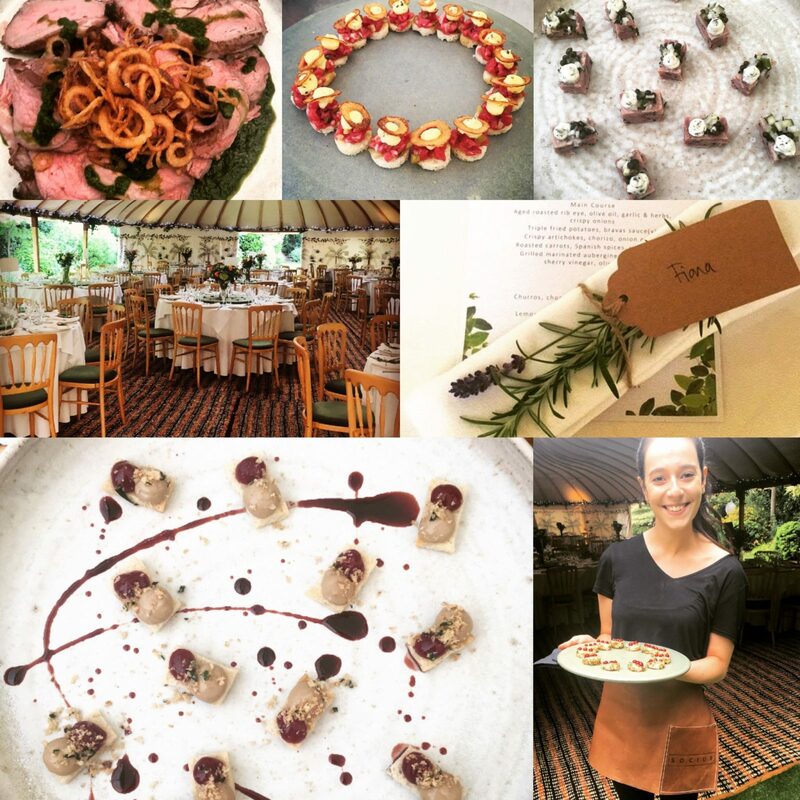 Back in June, we were chosen as the caterer for the Global Gift charity dinner at the prestigious Althorp Estate in Northamptonshire, raising money to create a positive impact on the lives of children, women and families who are in need. 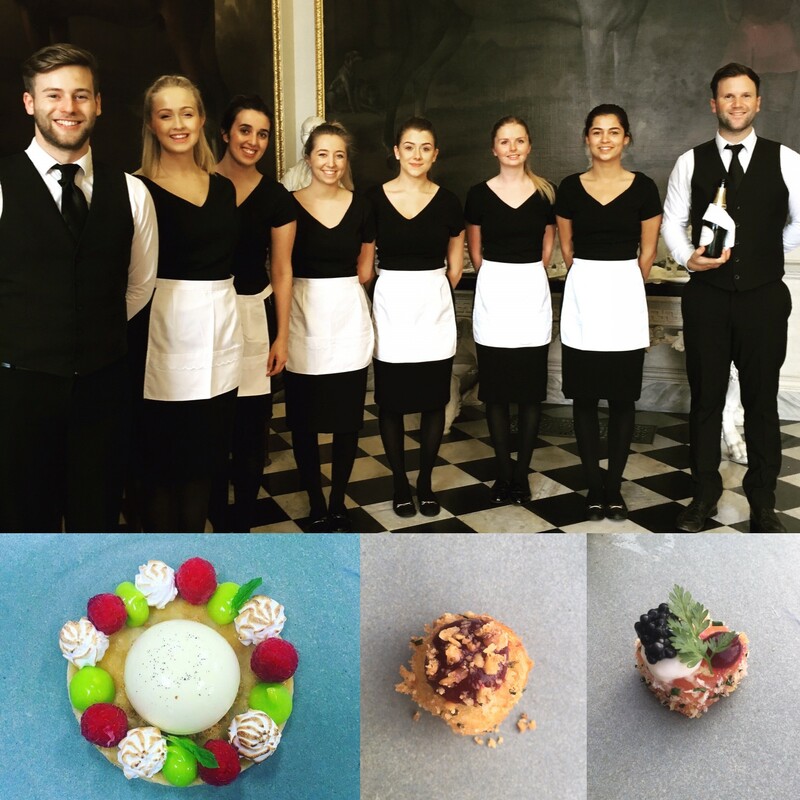 We served drinking snacks to the eighty invited guests during the reception alongside a three course dinner, which finished with a beautiful elegant dessert of British raspberries, key lime, elderflower, mint, muscavado sable and Italian meringue. Throughout the evening, there were a number of performances, a static fashion show by Gyunel and speeches from special guests including Pamela Anderson. We were asked by a private client to provide a tasting menu with matching wine flights for a special birthday occasion. 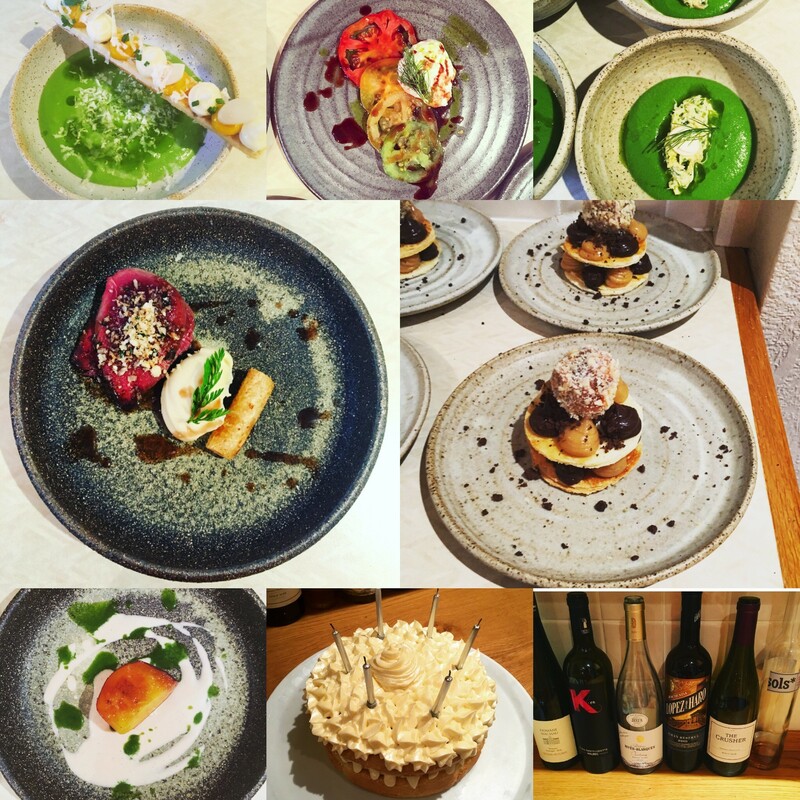 Working with our wine supplier Rob from CH wine merchants, chef director Dan devised an exciting nine course menu using locally sourced produce with wines to match, which accentuated the flavours of each dish. The guests were blown away by each course, with a particular favourite being the chocolate course, which was chocolate mille-feuille, Ferrero Rocher and salted caramel popcorn ice cream. This was paired with a beautiful dessert wine - La Vinyeta, Sols* 2016 Emporda Spain which had dense style to work with and harmonise the the chocolate and nutty flavours.